Gloria Yang, a magazine editor in Beijing, booked a 61-square-meter loft via Tujia.com, a Chinese accommodation sharing and booking website, to celebrate her 27th birthday last year. "I love the simple design style of the loft, as it has a blue soft couch, huge French windows and a clean kitchen," Yang said. "My friends and I played games, chatted, ordered takeout online and sang birthday songs together," she said. "It was an unforgettable birthday party, and we spent 459 yuan (66.13 U.S. dollars) booking the apartment for one day." Yang said she didn't need to meet with the host to pick up the key. She could just input a password to open the door of the apartment. The short-term rental platform provides an ideal and private gathering place for her and her friends, she said. In late July, she booked another apartment to celebrate her 28th birthday. With the rapid development of the sharing economy, accommodation sharing has also taken off in China. Chinese consumers have started to pursue high-quality travel and local experiences, which has spurred the explosive growth of home-sharing service providers such as Airbnb Inc, Tujia, Xiaozhu and Zhubaijia. "The diversified demands for home-sharing services appear to be due to consumption upgrades. Compared with hotels, residential houses have a larger space and well-equipped facilities," said Yang Changle, chief operating officer of Tujia. "It is more cost-effective, bringing leisure experiences for people in urban areas." People can host a wider range of activities in rented homes, which offer more facilities suited to social occasions, Yang said. "We found that the proportion of house bookings for holding parties, playing board games and watching movies is on the rise. We will satisfy consumers' demands by providing diversified homestay booking services," he said. Statistics from Tujia showed party bookings for apartments with four to five bedrooms between July 2017 and June 2018 increased over 60 percent year-on-year, with major demand in Beijing, Shanghai, Guangzhou, Hangzhou and Chengdu. The website's customers are mostly aged 18 to 40, and on average six to 10 people check in. The bookings are mainly during weekends and holidays. "What is interesting is that 14 percent of customers choose to bring their pets," Yang said. This new purpose for short-term renting services is being accepted by more young and family users, he said. Launched in 2011, Tujia has expanded its network to 345 domestic and 1,037 overseas destinations, with over 1 million online residential houses, including apartments, homestays and villas. Its supplementary traveling services cater for various accommodation demands, ranging from family, business and vacation tours to team building outings. 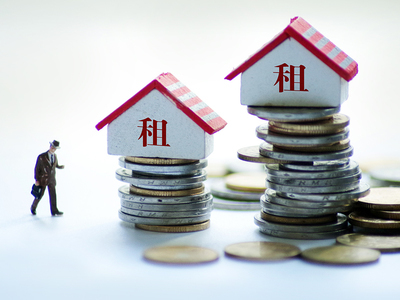 According to a report by the State Information Center, a State Council think tank, the market for home-sharing services is expanding rapidly in the country, with the sector's revenue expected to reach 50 billion yuan (7.20 billion U.S. dollars) by 2020. In 2017, the country's home-sharing market totaled 14.5 billion yuan (2.09 billion U.S. dollars), up 70.6 percent year-on-year, the report said. It forecast that by 2020 the number of tenants is likely to exceed 100 million and the number of shared homes will exceed 6 million.